Easter menu: brunch buffet includes classic scrambled eggs, bacon, sausage, potatoes, grits, biscuits and gravy, Belgian waffles, pastries, pasta, fresh vegetables, fried chicken, roast beef and desserts. Easter Sunday Hours: 9:30 a.m.-3 p.m.
Price: $21.95 for adults, $7.95 for children 4-11. Price does not include beverages, tax or gratuity. Location: 700 W. Riverside Dr., Jeffersonville, Ind. Easter menu: traditional Country Platter Dinner includes fried chicken, Huber honey ham, real mashed potatoes with gravy, green beans, corn, chicken & dumplings, fried biscuits with apple butter, slaw, and broccoli salad. Easter Sunday Hours: 11 a.m.-6 p.m. Location: 2421 Engle Rd., Starlight, Ind. Easter menu: roasted ham, beef pot roast, chicken parmesan, green bean casserole, mashed potato, sweet potato, quiche, glazed carrots, vegetable lasagna, cream of wild mushroom soup, a variety of deviled eggs, turkey salad, mustard-dill tortellini salad, prosciutto melon bites, hummus, and feta cheese salad. Easter Sunday Hours: 11 a.m.-3 p.m. Location: 130 W. Riverside Dr., Jeffersonville, Ind. 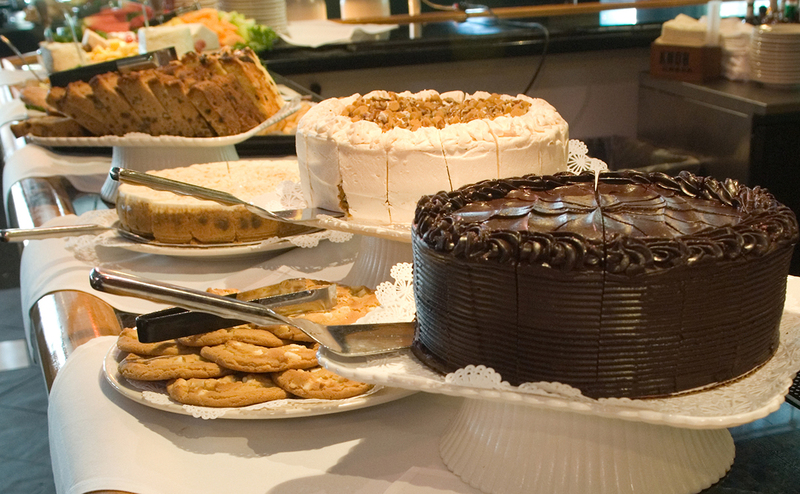 Menu: brunch buffet includes fresh fish, fried chicken, pot roast, American favorite side dishes, salads, breakfast brunch favorites, and delicious desserts, featuring Louisville Chocolate Fountain. Hours: seating times are 10:30 a.m., noon, and 1:30 p.m. Location: 318 W. Lewis & Clark Parkway, Clarksville, Ind. 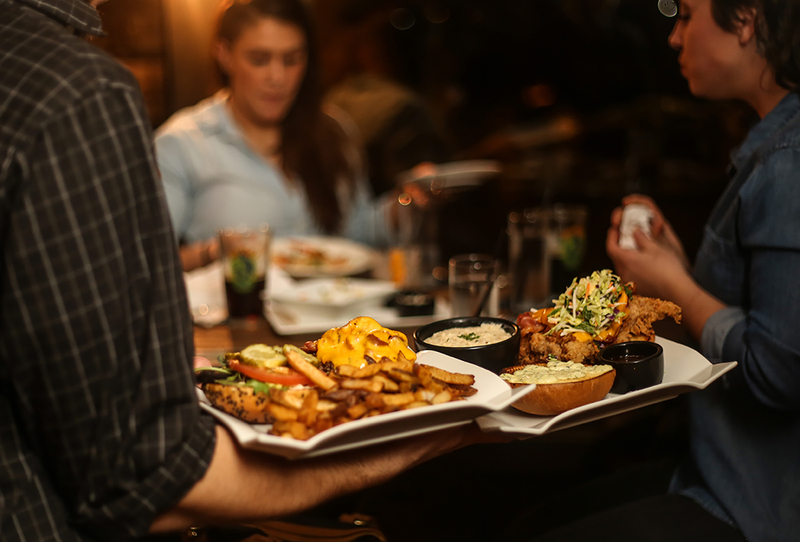 Menu: All-you-can-eat fried chicken, biscuits with egg, chicken, sausage, or sorghum, ELBT (egg, lettuce, bacon and tomato), hamburger, chicken sandwich, chicken and waffle nachos, chilequiles, grits, chorizo and egg taco, frites, and other inventive, flavor-full chicken and egg dishes. Location: 207 E. Main St., New Albany, Ind. Menu: Breakfast menu is available all day which includes flavorful varieties of French toast, egg sandwiches, omelets, steak and eggs, lemon soufflé and other flavored pancakes, fresh fruit, hash brown casserole, bacon, sausage, yogurt and granola, and of course, toast. Sunday Hours: 8 a.m.-2 p.m. Location: 141 E. Market St., New Albany, Ind.